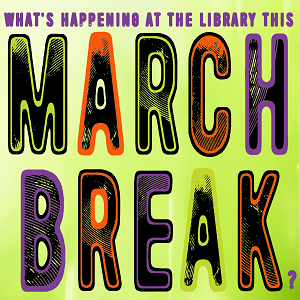 Looking for something to do this March Break? Here's what we have planned for kids and youth. Some events require registration, so click the event & sign up if interested!